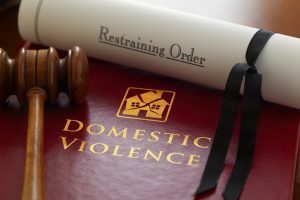 It seems that the majority of domestic violence cases are now being referred for treatment during the pendency of the cases for therapy through “AIC.” The purpose of this article is to examine what is the reason for these referrals to “AIC”; how they can actually help your case in some situations; and finally how your Stamford / Norwalk domestic violence crimes defense attorney can make a motion to modify the conditions of your release to get you out of “AIC” totally or perhaps into a more accommodating program with a private therapist. A. Next Day Arraignment Required in Domestic Matters In every domestic violence arrest there is a mandatory arraignment (court hearing) on the very next business day after the arrest. Before your arraignment which usually takes place in the early afternoon you are required to meet with a family relations officer who will interview you about your case. Remember, everything you say can and will be used against you so it is a really good idea to have a Stamford domestic violence defense attorney by your side during this process. In practice since these arraignments take place the very next morning many people are unable to hire a lawyer on such short notice and wind up going without a lawyer. This is one of the reasons why we offer 24/7 emergency support at (203) 515-4110. During this very rapid 4 to 6 minute hearing several things will take place. First the Judge will be issuing criminal orders of protection of some degree to protect the alleged victim. Secondly, based upon the screening of the office of family relations and their review of the Police report, the witness’s statements, input from the victim and a brief meeting with you on the morning of your arraignment the family relations officer will recommend referrals to “AIC” for various kinds of therapy which they deem needed to assist you. B. Who is “AIC?” Originally devised as a program to allow offenders who were unable to post bond an opportunity to stay out of jail while their cases were pending by engaging in treatment programs aimed at assisting them with drug problems or other issues which lead to their arrest the “AIC” program was originally known as “alternatives to incarceration.” Over the years its role has expanded greatly in the State’s criminal justice system to include a wide range of support services that go way beyond its original mandate. Thus some of the providers, all of which are private agencies being paid for by your tax dollars have elected to adopt the more friendly sounding name “Alternative in the Community.” https://www.jud.ct.gov/statistics/RBA/AIC.PDF. Which ever name they choose to use to identify themselves these contracted non profit and for profit agencies have taken on a huge role in our state as studies have shown that treatment and therapy for substance abuse and anger management issues is much more effective at preventing recidivism than incarceration. This is particularly the case in the area of domestic violence crimes. The Judicial Branch is spending nearly $20,000,000 per year on these treatment programs. C. What Types of Treatment Programs are Offered? “AIC” typically offers two main programs in thee context of domestic violence matters. Thee first really can apply to any case in which an argument has occurred in which someone lost their temper. And as I pointed out before, it does not have to be a situation which involved some form of physical attack or injury, a mere verbal altercation is sufficient. a. Anger Management of “Reasoning and Rehabilitation” This program is a 14 session group offered at AIC which focuses on a group session cognitive-behavioral approach to trying to adjust long term behavioral triggers and teach the participants coping methods for anger management situations. b. Substance Abuse Treatment and Evaluation – This program is usually recommended when one of the parties was under the influence of some intoxicating substance at the time of the incident. Studies have shown that individuals with substance abuse issues are more likely to engage in acts of domestic violence while they are under the influence of drugs and alcohol. “AIC” is something that the Court really approves of and which apparently has a positive impact on recidivism rates. There is no cost to you to participate so why not just follow through with the classes ordered by the Court? Well, you should know that there are some significant down sides to “AIC” and I will review some of them next. If you are in “AIC” on each of your Court dates “AIC” will submit an updated report of your attendance and progress in the program to the Court. Sadly, very often these reports can be inaccurate or written in a way that is not overly flattering to the client. By engaging in “AIC” you and your Norwalk/Stamford domestic violence defense attorney have zero input or control over what is included in these reports. I have seen many recent situations were clients have been referred for treatment through “AIC” where the offenses were very minor shouting matches or verbal disputes which in my opinion did not warrant anger management or substance abuse treatment. In these kind of cases I see my clients wasting weeks of time and dozens of hours engaging in unneeded treatment and therapy which will not help them in any significant manner. In many minor domestic violence cases, participation and the successful completion of “AIC” therapy will result in the dismissal of the domestic violence charges against you – (if they are of a minor non violent nature). Thus, in many situations being able to demonstrate that the client took the matter seriously and completed the “AIC” programs ordered is sufficient to get the State’s Attorney to agree to drop or nolle the charges – again if they are minor non violent, non threatening, not serious charges. Thus there can be some benefit to simply sucking it up and just going through the 12 weeks of bi-weekly sessions and completing the “AIC” programs. In more serious cases were the State is on the fence about how to dispose of the case and your fate is hanging in the balance often a successful “AIC” completion can make the difference in convincing the State to go along with your application to enter a diversionary program or other non jail disposition. It is not uncommon to see some of the top Stamford domestic violence criminal attorneys actually requesting the Court to enter their clients into “AIC” as a way of helping to resolve a difficult case and build up a good track record to show that their client has turned a new chapter and is no longer a threat. Using “AIC” to document a positive pattern of behavior on behalf of the client is a common defense strategy employed in some of the more challenging domestic violence defense cases. While “AIC” may be a wonderful solution for many defendants, some people are simply not able to attend due to their work schedules. There are many people in this area who work long hours in jobs in New York City who are simply unable to attend “AIC.” We do not want to see people loosing their jobs and income over an “AIC” class. In other cases, I have some clients who are long term habitual marijuana smokers who simply do not want to give up their habit over a domestic violence arrest and realize that having to submit to weekly drug testing at “AIC” is going to result in failure. In these cases I file a Motion to Modify the Conditions of Release and work with the Court and family relations to either terminate the “AIC” altogether or in the alternative to substitute the “AIC” therapy with treatment with a private therapist which offers a lot of significant advantages. First treatment with a private therapist is totally flexible and works on your schedule. Secondly. there are no random drug tests with a private therapist. Third, a private therapist can clear you and discharge you from treatment as they deem appropriate much sooner and with much less sessions than “AIC.” If you have health insurance or can afford private therapy it is really a much better alternative to follow than “AIC.” Finally, it is my opinion that you will actually receive better counseling and treatment in an individual setting with a licensed therapist than you would in a group “AIC” class. If you are angry and upset that you are stuck in an “AIC” nightmare after your domestic violence arrest there are ways out of your situation. It is time to consult with an experienced Connecticut domestic violence crimes defense lawyer to get your “AIC” conditions terminated and also talk about a strategy to resolve your entire case. At the Law Offices of Allan F. Friedman we offer 25 years of Court room experience in defending domestic violence cases. We offer free initial consultations and we are always open 24/7 at (203) 515-4110.